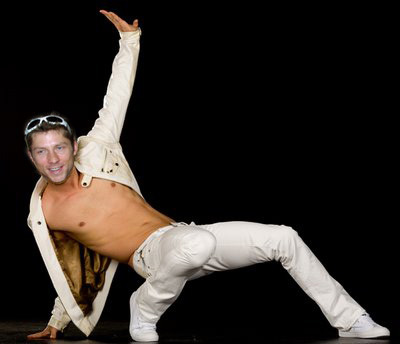 Former pro mountain biker Andreas 'Dre' Hestler is signed up to audition for the CTV show 'So You Think You Can Dance Canada'. The program is holding its next round of auditions April 4th at the Centre for the Performing Arts in Vancouver. "I'm still pretty fit from all the mountain biking I do, and I love to dance," explained Hestler (as anyone who has been to a post-race party can attest). "Plus I'm used to tight fitting clothing, and I have great hair and legs." Hestler plans to use a dance he choreographed himself for the audition. "I call it the 'Docter Dre'. It incorporates mountain biking movements in a sensual and rhythmic way."